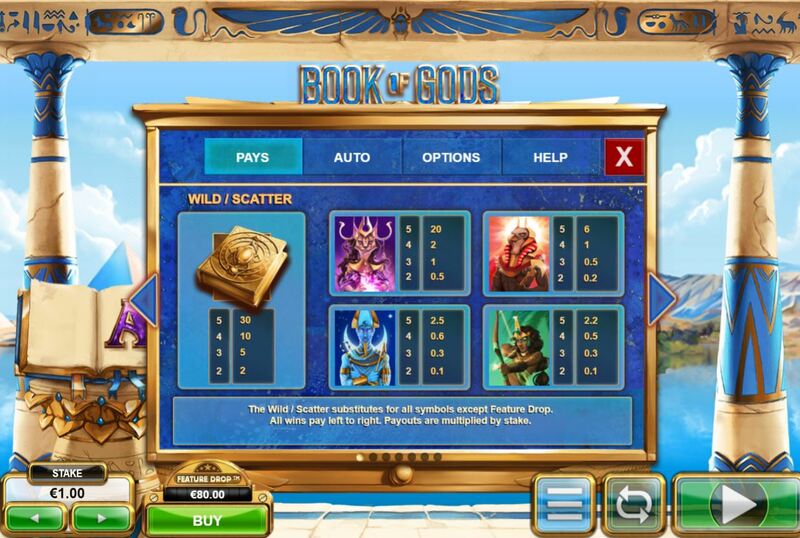 Well, these Australian multiway specialists have reverted to 243ways here with Book Of Gods Slot as opposed to recent megaways releases such as White Rabbit and Bonanza along with Extra Chilli. 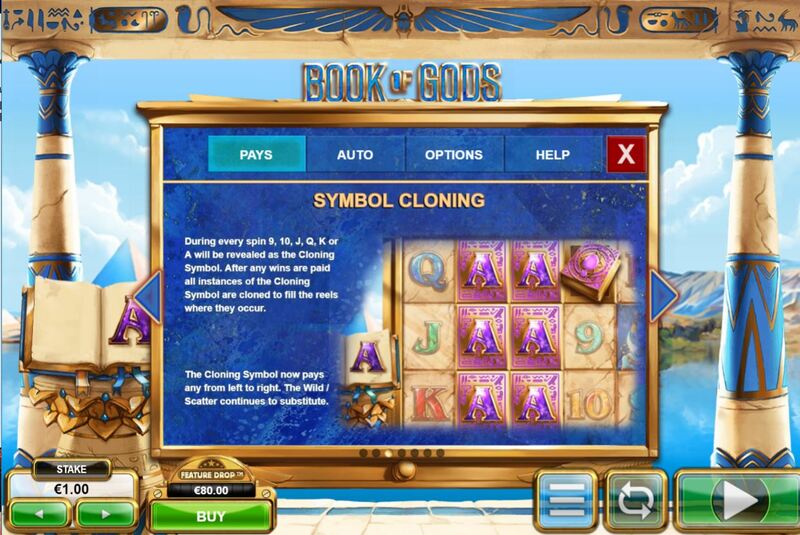 The main inspiration is the Novomatic classic Book Of Ra Deluxe with its expanding scatter pays in the free games, and Merkur’s Magic Mirror Deluxe which has this format too but actually awards an extra expanding symbol for each retrigger! The high values are the only symbols that can be awarded in the free games, of which you get 15, 20 or 25 for 3, 4 and 5 scatters respectively. The card values work in every spin in the base game which is a nice touch. 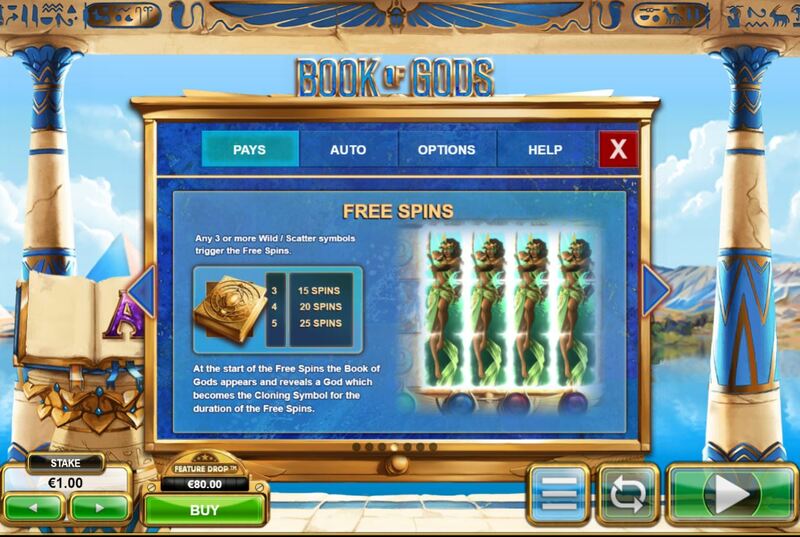 Each spin shows a card value in the book on the left of the reels, and should you get 3 or more of that symbol appear in the spin, they will expand as in the free spins! A nice touch is that the Wild/scatters also count for your selected symbol in both base game and free spins, although as they don’t expand you’ll get 1/3 of the amount of winning ways i.e. 9x 3-of-a-kind for 2 symbols expanding and one Wild instead of 27 ways of 3OAK for 3 symbols. The awards for a full way of 5OAKs range from 0.5x for the 9 up to 20x for the Purple Goddess therefore meaning your maximum win in any free game spin is 4860x stake for a full screen. 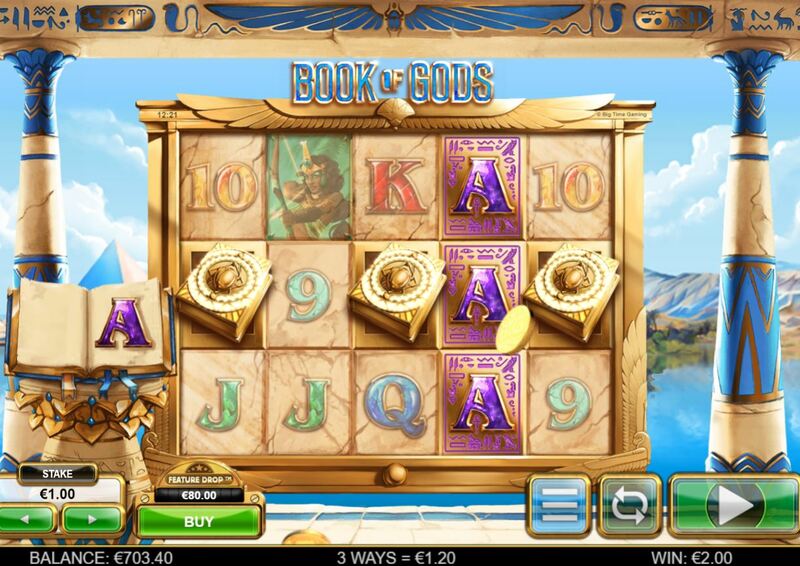 The RTP for Book Of Gods slot is 96.35%. 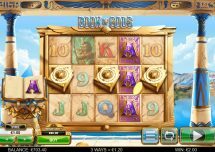 The volatility of the free spins is brutal though and big wins hard to get so this will put people off of using the 80x bet ‘feature purchase’ facility which is available although as with White Rabbit and Extra Chilli the price reduces as you play due to the 0.5x bet tokens which appear quite frequently.